Roadwork ahead! But this time it won't cause any delays in your day – instead, it'll pave the way for creative construction fun for your little one. Help little workers ages 3 and up get busy building, constructing, and demolishing almost anything they can imagine with these Play-Doh cement and pavement compounds. 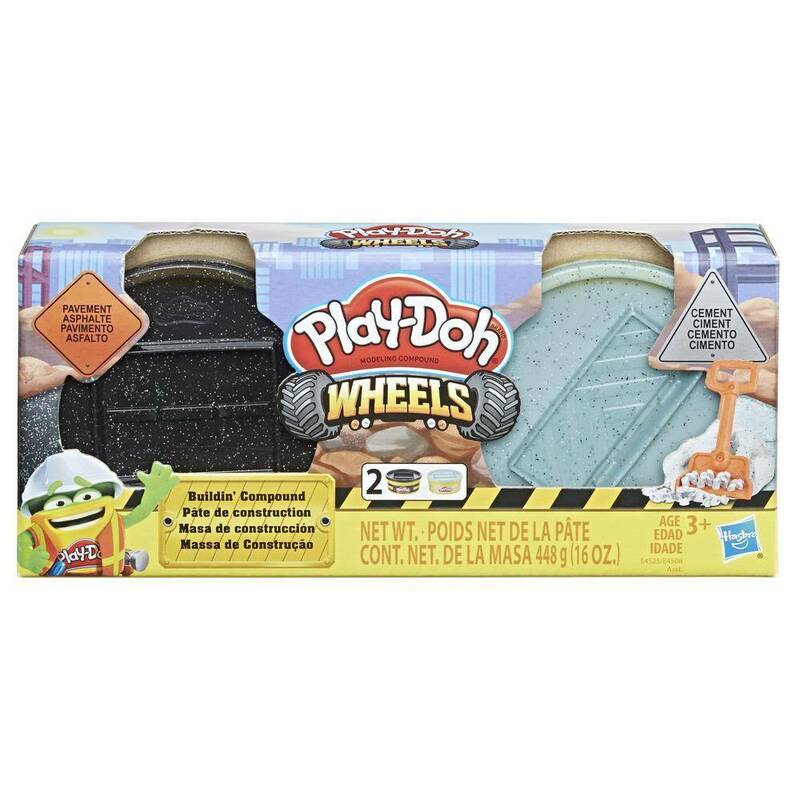 It's the quality non-toxic Play-Doh compound we all know and love with glittery specks mixed in to look like cement and pavement! The 2 extra large cans each hold 8 ounces of compound, and each can has a stamper molded into the lid to create road blocks and sidewalk slabs. 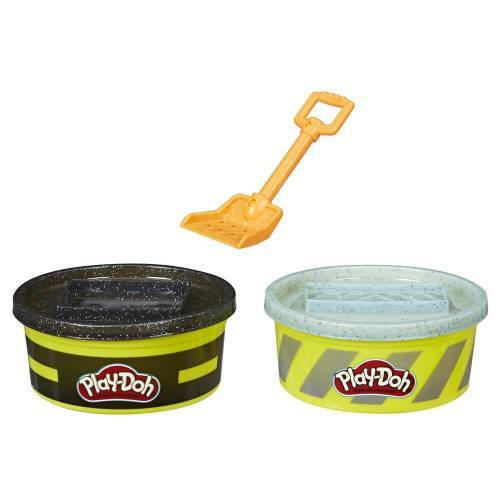 This 2-pack of Play-Doh cans also comes with a shovel tool for scooping and smashing the pavement and cement. You can really help build imaginations by using this pavement and cement compound with any Play-Doh Wheels construction toys (sold separately). The road to creativity is paved with imagination, and it starts with delightfully squishy, hands-on Play-Doh Buildin' Compound!